I was writing up a post about my Super Puzzle Fighter II Turbo custom arcade project and in the process, I was discussing the challenge of locating an all original on-battery version of the game. I didn’t want to litter that page with a bunch of information detailing the Capcom CPS-II system so instead, I’ll litter this page. Even if you’re new to arcade games, you probably are at least aware that full size arcade cabinets contain much smaller internal components that make up the entire game. For the most part, these games are simply one PCB board that looks like the motherboard in your home computer. But arcade games can also come with multiple boards, hard drives, flash drives, full-on CPUs, etc. The CPS-II system wasn’t that complex, but I decided to outline all the information you would need to know if you’re starting your arcade collecting hobby so that you don’t have to rummage around the internet like I did when I started out. CPS-II system games (see complete list below), were comprised of two game boards…collectively known as an A board and a B board. Think of the A board as a computer’s motherboard or since we’re talking about video games, the gaming console. It provides the means by which you can plug in different (but compatible) games in order to make it play in your arcade cabinet. The A boards are mostly compatible with B boards of any region with the exception of the gray and orange B boards. These boards have a different pinout for the IDE connections and therefore require their own A boards. Since the A board is essentially the arcade game’s processing unit, we can safely assume that the B board is the game itself. And you would be correct. When you see a CPS-II system, the board with the colored casing is the B board and this is obviously what collectors collect most of all. Ideally, every collector would want a matching A board to go along with each game, but often times, you’ll see B boards for sale by themselves. That’s actually the beauty of this system because you can own ten different B boards and only one A board which will give you the ability to swap out games whenever you feel like playing something new. Of course, if you’re planning on running your own arcade, this may not be a feasible solution for you since it would be difficult to swap games out all the time. B boards are also sorted out regionally. 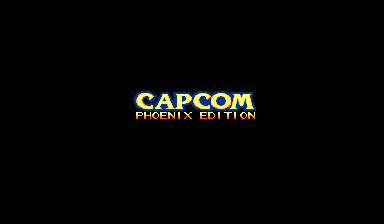 Every country where Capcom distributed games was part of a specific region and each region is represented by the color of the game case. Blue – The “blue” boards were designated to the U.S.A. and Europe. Green – The “green” boards were designated to Japan. 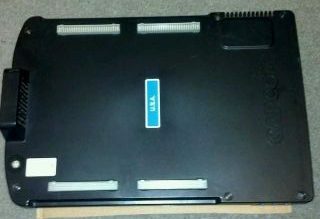 Gray – The “gray” boards were designated to Asia. Orange – The “orange” boards were designated to South America. Yellow – The “yellow” boards were designated for all regions, but were only rental boards for those wishing to test a game before purchasing. There’s also a black board, but it was only used for the all-in-one type boards. Up until this point, we’ve discussed all the positive attributes for the CPS-II game system. Now let’s get into the dreaded battery discussion. Back in the heyday of the arcades (think Pac-man era here), software piracy was as rampant, if not more than it is today. 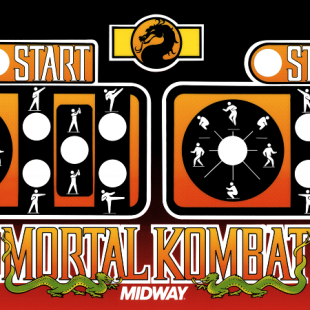 For tech savvy individuals who had access to arcade game boards, it was super easy to pull the game code right off the chips, create bootleg PCBs, write new chips and install them into the boards making perfect, albeit physically different looking arcade game copies. Game makers responded to this by creating special security chips that could only be obtained through the company among other things. With enough time and dedicated resources, all these security protections became useless. 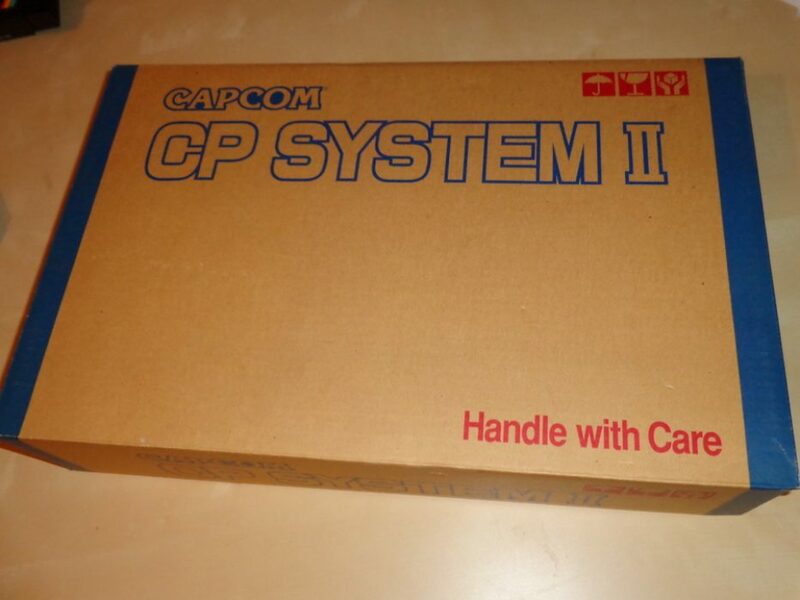 Capcom took a slightly different approach with their CPS-II system. They decided to encrypt all the game code stored in the chips and then used a decryption process that decrypted this code on the fly, thus allowing the game to be played normally. For legitimate operators, this was of little consequence. The batteries would likely last 10 or more years if the game was in play and in an arcade, 10 years was a lifetime for an average game. The best part was that the battery was not even being drained while the game remained powered on, so in a popular arcade, you could probably extend the life of that battery to 20 years and beyond. But even if the worst happen, where a battery did die, all an operator had to do was send the game back to Capcom and for a fee of $48, they’d replace the lost encryption keys and install a new battery…game resurrected. Fast forward to this century and arcades are mostly gone, so all that’s left are the collectors and hobbyists. Capcom no longer supports CPS-II, so it’s become a fight to keep these old school games alive at all costs. Fortunately, a group named CPS-2 Shock was able to figure out a way to resurrect dead CPS-II games by way of re-programming the required game code without the use of decryption keys. This brought good news to everyone who had a dead CPS-II game board, but it also started a debate on whether this created a “bootleg” copy of an original game or not. Regardless of how you view it, the value of these games have been affected based on which version you have. 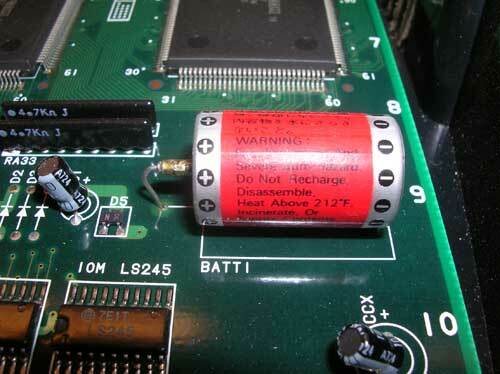 If you’re a purist, you will want the original un-modified code on a CPS-II board that is still on a working battery. If you’d like to save some money and possibly not have to spend any substantial amount of time searching for one, acquiring a Phoenix-edition board will be just fine. 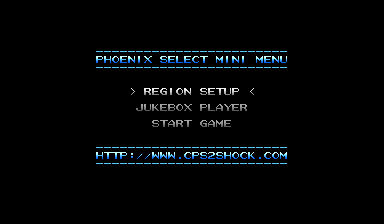 Besides the removal of the encryption, the Phoenix edition boards also include an additional game menu that allows you to change the geographical region of the game as well as a jukebox feature that allows you to play all the game’s music and sounds. Another benefit to having a resurrected game without the encrypted ROMs is that you can swap chips around into different boards to create playable games. There are a couple reasons why you would want/need to do this. For one, if you have a board that has suffered some damage, but you know the game ROMs are fully functional, then you can purchase another CPS-II game (possibly one that is cheaper) and place your working ROMs on that board. The second most common reason is for those who have been looking for one of the more popular CPS-II games and either can’t find it or can’t afford it. So instead, you can purchase a very common and cheap game board, then burn your own ROMs from the MAME set to create a fully playable game. An example of a popular conversion is with Progear, one of the most desired CPS-II games. When converting your game board, you need to pay attention to the jumpers on the game board. Each game requires a specific setting of jumpers in order to work. You’ll find these settings all over the internet and they are usually in a format that looks like this: SOOS SO OSOSOS SOSOSOSO SOSOSOSO. “S” means shorted and “O” means open. 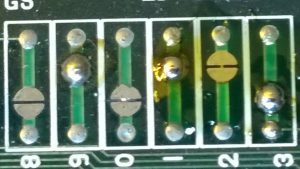 Looking at the picture below, you can see that there are circular pads on the board that either need to stay open or closed. 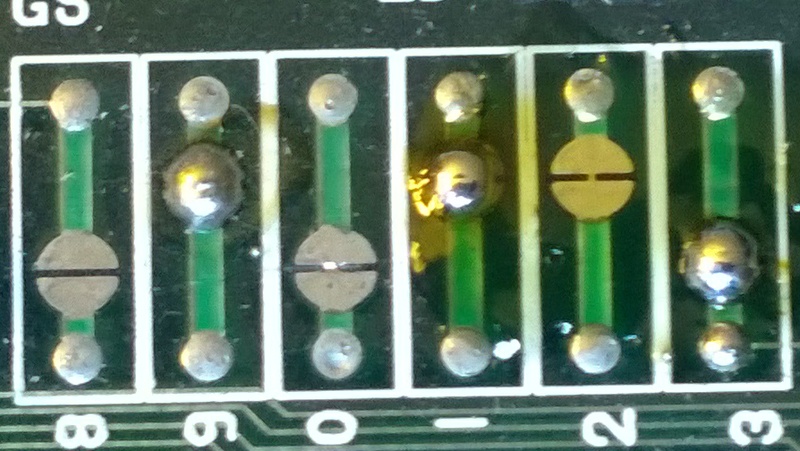 To short a jumper, a small solder pad is applied between the two points. Take note that conversion boards often drop the value of a CPS-II game even more due to the game being further removed from its original state. However, if you’re just looking to get a game working again, this may be the best (or only) way to go. If you’re a collector and are looking to avoid conversion boards, always check listing details for that information and if you’re unsure, ask the seller. Lastly, remember this little rule: all conversion boards are Phoenixed, but not all Phoenixed boards are conversions. Here’s some bonus information in case you’re looking for a way to play CPS-II at home and can’t find what you’re looking for. Some people don’t want to settle for finding individual boards for each game they want. Enter Darksoft. 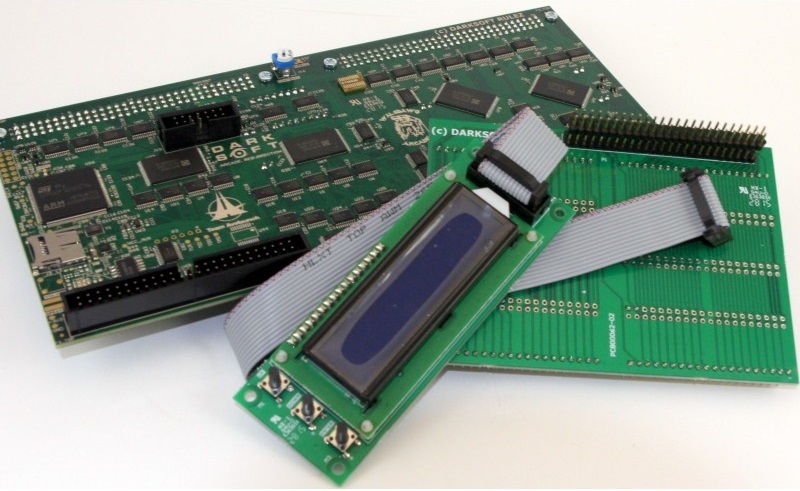 He created a custom boardset that connects itself to an original CPS-II B board in order to play ALL CPS-II games without having to swap ePROMS or boards! Basically, you place all the game files onto a memory card, insert it into this board and you now have a full set of games at your fingertips. You still need to locate an un-populated B board and make some adjustments, but once you get everything you need, switching games is as easy as selecting what you want to play on the display screen and powering up the system! This board can be purchased from Paradise Arcade for $325, but keep in mind that it is usually out of stock almost immediately so my advice is to sign up for the stock notification and buy it as soon as it becomes available. Oh and don’t forget to watch the video so you know what you’re getting yourself into. Thanks to All Who Have Helped Along the Way! !